I am a part of the Etsy Gamers Team. We are a group of people who enjoy Etsy and gaming. Every month we each create an item inspired by one of our favorite video games. The game of the month is chosen by the winner of last month’s challenge. 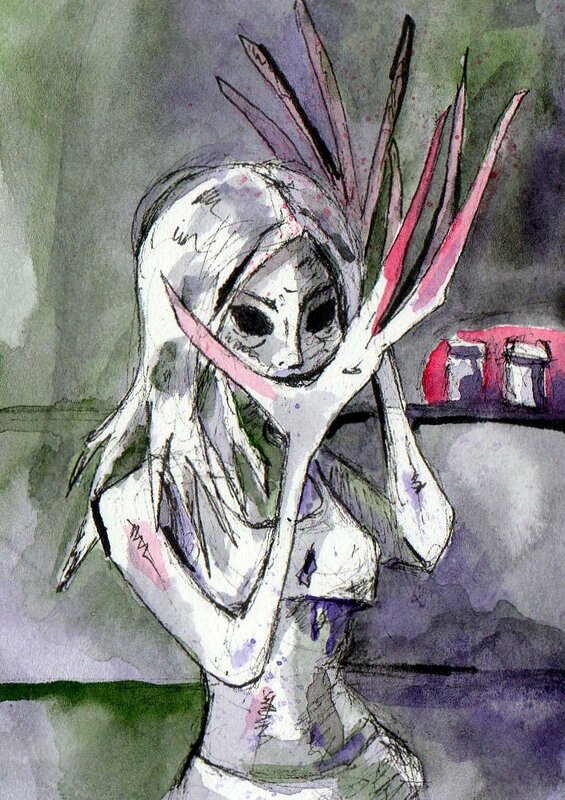 You may remember the ACEO I painted for January’s game, The Path. February’s game was Left 4 Dead, a personal favorite of mine. This witch was my submission. March’s game of the month is Katamari Damacy. 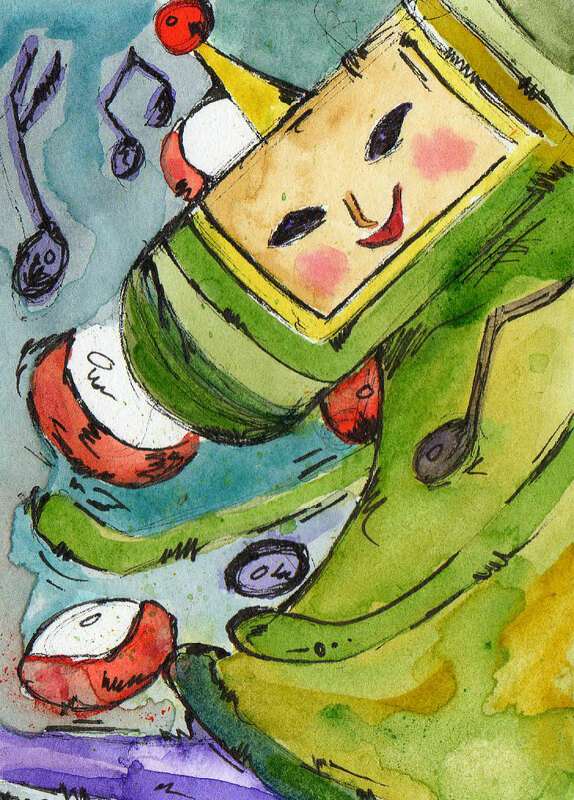 Below is my illustration of the Katamari Prince dancing his little heart out. Both of these original works have sold. Prints of the Prince and Witch can be found in my Etsy shop. I try to keep my sketchbook exclusively to drawings from life, but sometimes pretty women just slip out. More pretty girl ACEO’s. Why? Because, honestly, they sell the best. And I like doing them. Reminds me of my animation days. All three the size of playing cards, signed & dated on back. Fifteen dollars each. On sale in my Etsy shop.